Classic Rock issue 174 will be a little different to its predecessors as 2,000 copies will be pulled aside and resolutely 'Vai-ed' up with a limited edition Steve Vai cover, a gigantic feature and a copy of his brand new album The Story Of Light. Available exclusively from MyFavouriteMagazines.com, the Classic Rock 174: Steve Vai Edition will be the only way to get hold of the album in the UK before 3 September - so if you want it first, you know where to go. The mag will have a special variant cover, a 12 page feature on the making of the album and an exclusive Steve Vai interview, making it a true collector's item. If you want to be sure you don't miss out on your chance to bag the mag, you can pre-order your copy right now from MyFavouriteMagazines.com. 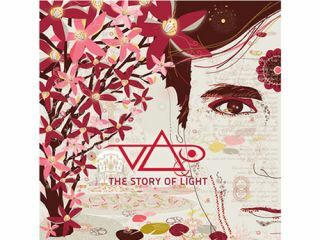 Although The Story of Light is largely instrumental, the album does feature guest vocalists including singer-songwriter Aimee Mann dueting with Vai on No More Amsterdam, which she also co-wrote and Beverly McClellan, a season one finalist on The Voice. McClellan appears on John the Revelator, a track inspired by a vintage recording of blues singer Blind Willie Johnson, whose acid-soaked vocals are in the mix as well. Other highlights include the title track (which opens the album), Gravity Storm, The Moon and I, and Velorum.